Employers are being urged to promote the ‘many ways to learn’ as a part of today’s National Learning at Work Day organised by the Campaign for Learning. Companies use the day to mark their commitment to learning and development and to promote a workplace learning culture. Thousands of employees will be taking part in creative and inspiring learning sessions, from discovering the future of digital to building learning skills. This year’s Learning at Work Day theme is ‘Many Ways to Learn’ and many training providers will be offering free sessions and access to their online learning to businesses taking part in the day. 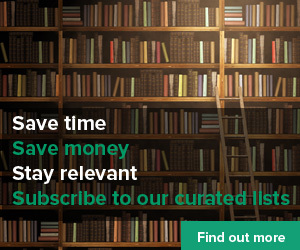 A range of free online and taster sessions and special competitions from training companies and software providers including Mathematics in Education and Industry, Illumine, TutorPro, The Corporate e-Learning Consortium, Parksims, TextHelp, Babel and Pearson TalentLens, who publish a range of materials to support learning and development. 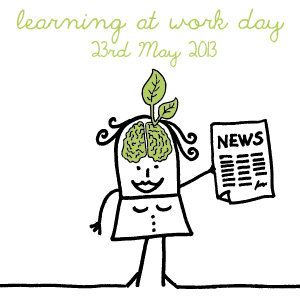 National Learning at Work Day is co-ordinated by the Campaign for Learning as part of Adult Learners’ Week. The Day is supported nationally by Pearson, Findcourses.co.uk, The Open University, The Reading Agency, TUC unionlearn and Work Communications. BI Worldwide in Newport Pagnell, Milton Keynes, will be joining up with author Peter Freeth to discover their ‘Genius at Work’ through workshops to develop performance by discovering and sharing talents. Brightwave in Brighton will be partnering up with smart working gurus the Pearl Group to offer a week-long dedicated online learning community. Organisations are being invited to join ‘Meeting Mojo’ and improve their effective meeting skills and test-drive a new collaborative learning experience. Colt’s Learning at Work week is running from 13 – 17 May with a wide variety of both professional and non-work related activities. Almost all sessions will be hosted by Colt colleagues – from the executive team through to first time presenters providing an opportunity for all. Fujitsu are organising a mix of activities, co-ordinated by their apprentices across 5 plants. From job shadowing opportunities (so people can learn new skills other colleagues use in their day job), to using music software to make a song that staff can add to, creating knowledge trees where employees can donate knowledge on what they have learned at work (using stickers and posting them on the tree branches) to running a quiz to test people’s knowledge about Fujitsu – the apprentices are using their creativity and innovation to promote learning at work. McCrudden Training Ltd is helping to celebrate National Learning at Work Day with a series of free events across Sussex, including the free Sussex Workplace Learning Awards. Now in their second year, the awards allow organisations of all sizes to celebrate their commitment to learning. The Science Museum is joining national Learning at Work Day on 23 and 24 May, running workshops and talks around the future of digital. They want to help people across all departments think digital when approaching projects and understand how it is transforming relationships with their audiences. They will be running talks and practical workshops including by former Head of Digital Engagement for the Guardian, Meg Pickard discussing how digital changes our world and what it could mean for organisations like theirs, a Twitter taster workshop to show employees how to get up and running on Twitter, a Writing for the Web presentationand a practical training session run by Wikimedian in Residence, John Cummings, on how to edit Wikipedia. Tower Hamlets Education Business Partnership, a charity which raises young people’s life chances in Tower Hamlets, is training employees on improving their feedback skills. Employees will apply better feedback techniques both in-house and to help their wider student clientele more effectively. To support the Partnership’s core work, staff will also learn how to run an interactive employability conference day called ‘Getting Ahead’ which supports 14-16 year olds in secondary schools. Students discover the world of work via partnering with business volunteers for the day. For more on the day, visit: http://www.learningatworkday.com/ and follow the day on Twitter on the #lawday hastag.